Chris Burrow has been named the lucky winner of £500 in Lifestyle Vouchers after being chosen at random in The Motor Ombudsman’s latest prize draw. Chris was selected from the many entries submitted to the online Vehicle Sales Code survey tool on The Motor Ombudsman’s Garage Finder between January and March 2019. 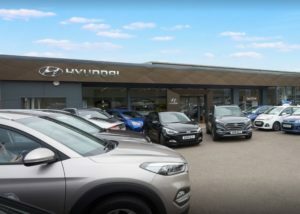 Mr Burrow rated and reviewed the Bristol Street Motors Hyundai Banbury car dealership on Southam Road in Oxfordshire after purchasing a new Hyundai i10 1.0 Go hatchback. 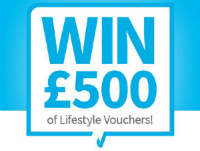 To enter the competition, and be in with the chance of winning £500 in Lifestyle Vouchers, simply search for the relevant business on our Garage Finder. You will then be able to click on the ‘Rate this garage’ button and complete an online review after a repair, or the purchase of a new or used vehicle. The next quarterly prize draw will take place in July 2019.